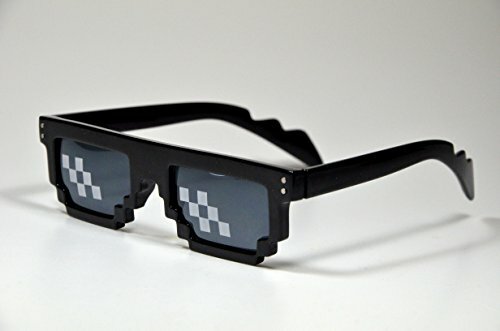 8-Bit Sunglasses - Moar Stuff - You don't need it but you know you want it. 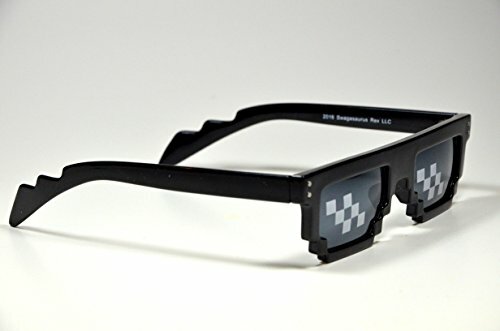 These UV blocking 8-Bit Sunglasses look like something out of an old Nintendo video game. 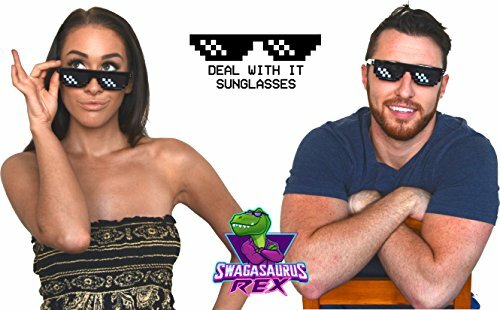 Don’t let that fool you though, they’re actually a set of sturdy sunglasses which will keep you stylish and protected from harmful UV rays. They’re great for concerts, parties, trips to the beach, festivals and just being out in the sun. 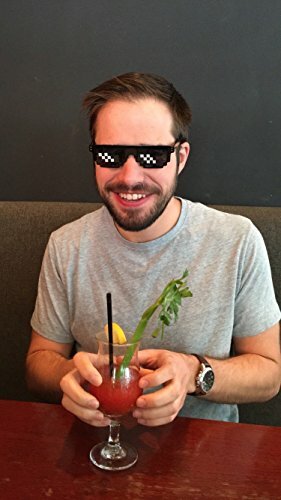 Basically, anywhere you want people to notice you. 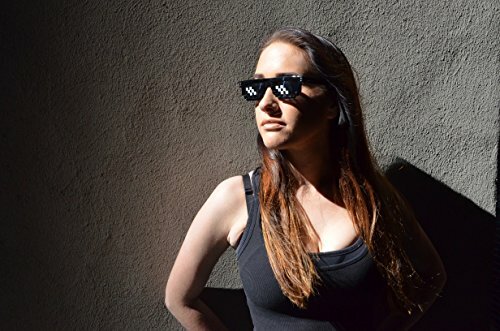 They are also known as the “deal with it glasses” because of the many internet memes featuring them. 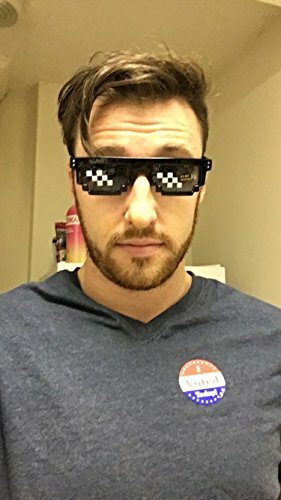 So these sunglasses are perfect for a meme Halloween costume as well. 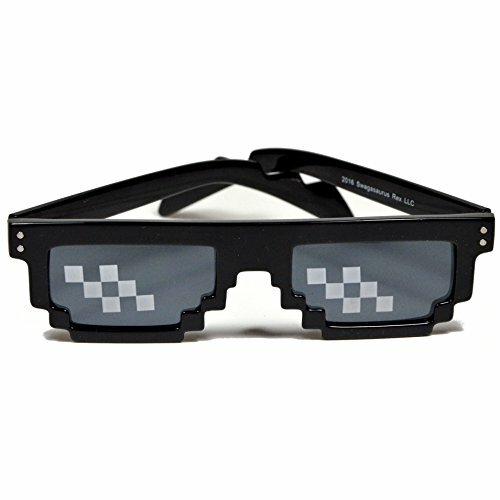 Besides, these 8-Bit Sunglasses are fun to wear around all day – you’ll get laughs out of people, left and right! Dimensions: 6 x 1 x 1.5 inches.